Children aged 7 years+ can come and join the Crafty Foxes upstairs in The Apex for a craft-a-noon of fun, making a special Mother’s Day gift they can take home on the day. Everybody loves a homemade gift that’s made with love, especially Mums! 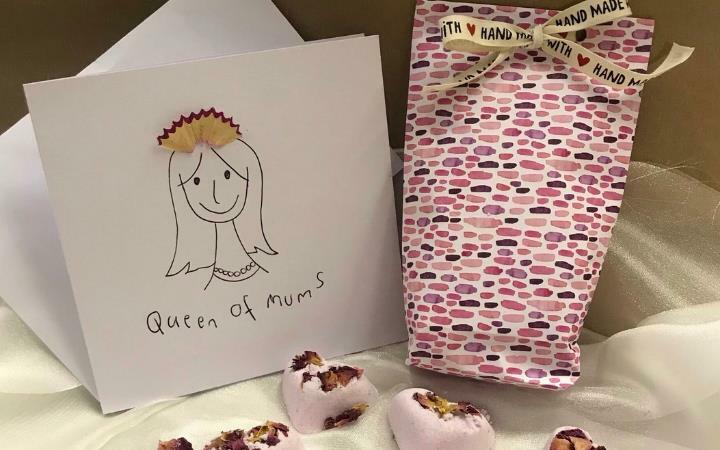 During this workshop children can make six scented heart bath fizzes, as well as the gift wrapping and a personalised card. Everybody will also receive juice and a biscuit. Children must be 7 years and over and parents must drop the children and go. There is a coffee shop downstairs should you wish to stay nearby, or you can simply drop and shop! Parking is a short walk away at the Arc shopping centre. Please contact thecraftyfoxes@hotmail.co.uk for more information or to discuss anything in more detail. This event is promoted by The Apex in association with the Crafty Foxes.